Hello, Spicy here. I noticed Tapas didn't have any running book clubs, so I figured I could start one up for a test-run. The deal is, once there are five members, I'll use a RNG and feature the winner's book for 2 weeks. Said person will need to tell me which book's first 2 chapters they want read and reviewed, and what 3 max questions they want the other members to focus on. Everyone else will have the 2 weeks to answer the 1-3 questions in detail via comments. Notes: If you can't do your part by the deadline, you will have a grace period of one week. Afterwards, your turn will be pushed down. No negotiations. That sounds interesting. I think it would be something awesome to try out. Count me in to help test it out. ^_^ If that is alright. I like it, it sounds fun! I would love to test it out if you can handle my stupidity. 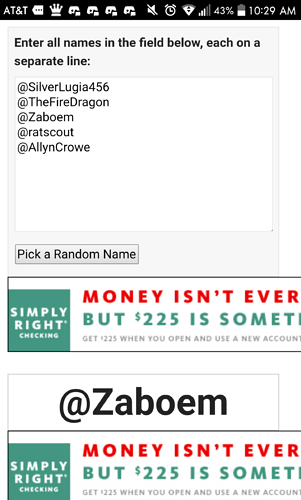 Oh it's just entering all the names in a randomizer and featuring the first one. OOOOOHHH! Okay. That sounds Awesome! You can definetely count me in if you want. Two chapters seems like an entirely feasible commitment. For club members with multiple books, we might want a rule about the winner being not eligible for the next drawing so we don't get the same author carried two months in a row (or more). I would like to join too. I don't have any novels... only a comic, but I'd love to do some limited critique on novels, if you want me to be a guest star every so often. I'll join in~! Sounds like fun! Thanks for volunteering, in that case. Congrats @Zaboem, you're first up! I would like to thank the academy, and it was an honor just to be nominated. @storytimebiondi, it's great to have ya here. I will definitely look at your comics in return. @spicy_sweets, I will think of my questions tonight. Before I make this assumption, I pick which book of mine to throw around, right? @spicy_sweets, I just realized that you excluded your own name from the virtual hat. Don't do that! Okay, I've given this a little thought. By far the least boring thing I have for you guys to read would be the first two chapters of my main series. I have a request though. Just read the chapters, not the summary that is located underneath the subscriber count. It relates to one of my questions. Question #1: I call this story a satire, but can you tell what I am satirizing? Question #2: If you browsed the story using the full website, did the music that I selected for these two episodes feel like it fit? If you viewed it on the mobile version of the website or in the Tapas mobile app, just let me know that. Question #3: I am thinking of going in one of a couple of directions next with this story. 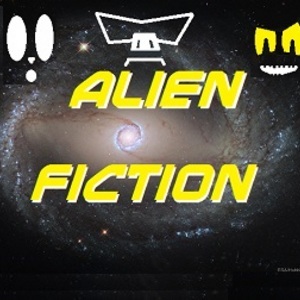 I am planning to record a reading of Alien Fiction as an audio book, but I'm also writing some rules for a card game based on Alien Fiction. To you, which would be the more appealing waste of my time? Thanks in advance, Word Warriors! Yeah I didn't want the first spot taken by me by some chance. Alright, the questions are up! You have until NOVEMBER 9TH to answer them in detail.